Now I have had a Pinterest account for a few years without doing a great deal with it. Thinking it was about time I had another look at it, I set too. So done some research and found out what was working for others, and set about making some changes to my boards, account and overall profile. Wow! 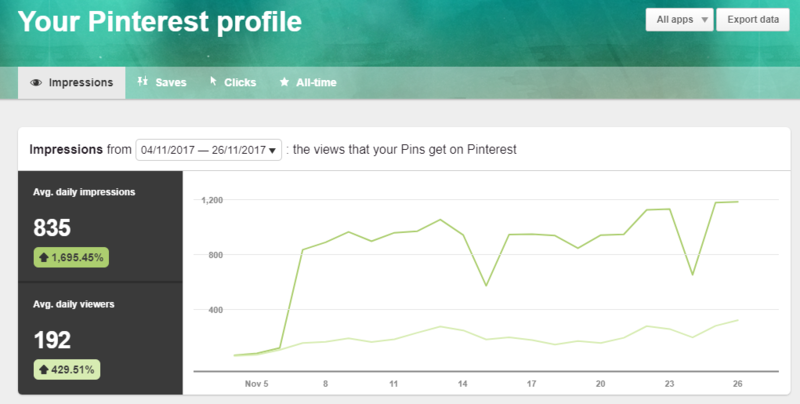 I knew people were getting massive traffic from Pinterest, but never knew making simple changes would have a BIG impact so quickly. I am now getting saves (repins) and traffic back to my blog as well. My aim is make more changes by testing and tweeking and reporting back in weeks to come... be sure you follow me on Pinterest to obtain my results. Okay so let's run through exactly the changes I made! I had done this previously but needed to check it was still working right and the analytics were working. This means I can see what pins are performing well, so I can repin them later or create similar content and pins for my follows. Following allowed me to do two things, see what was working for them so I could replicate it and test on my followers and it gave me loads of pins I can repin to my boards that my audience would like too. 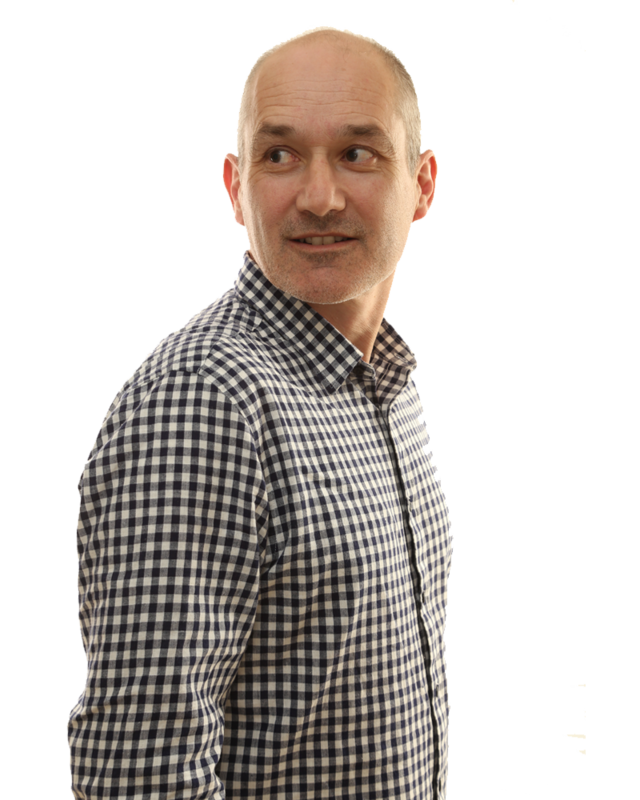 I wanted to be found for WordPress - Web Design - Digital Marketing and Blogging Tips. So I added all of these after my name and company which of course could be found in searches too. Before we go on here ... Just to clarify Pinterest in a search engine so having the correct keywords is paramont to your success. When I first created my Pinterest account I did this, but that was years ago and I now have a new site so I had to redo this again. By verifying my website it just makes my profile look more professional. 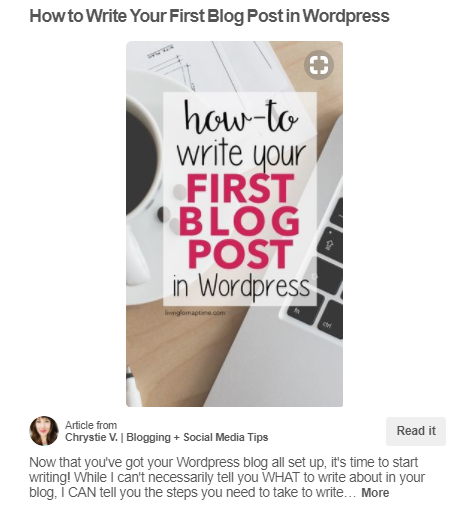 Like I mentioned in number 3 Pinterest is a search engine so having keywords in your bio as well will help your profile be found for people searching keywords in your niche. I created a new board for my blog posts and renamed my board for my YouTube videos. I then placed these in prime position so they are the first boards people see when they visit my profile. 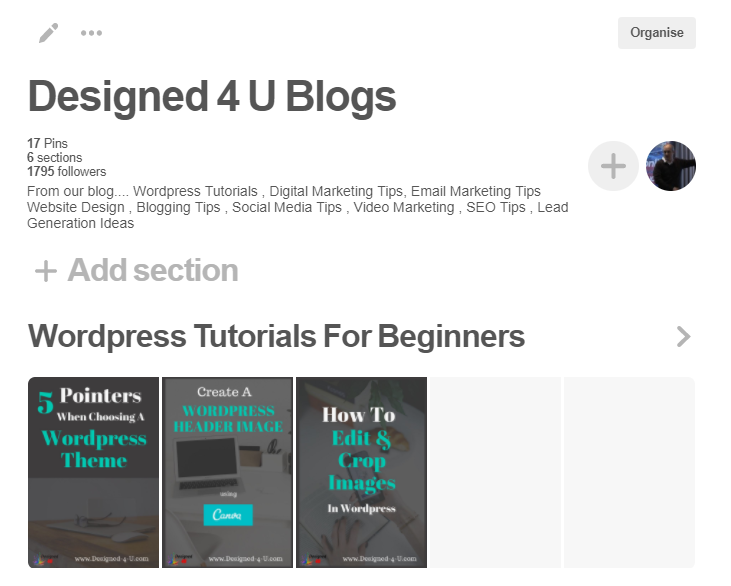 Then rename some boards with long tailed keywords such as "Blogging Tips For Beginners" and "Email Marketing Tips" this will help these to be found too. Delete the boards that were not really what I wanted to be found for. I went through and added good board titles and descriptive SEO friendly descriptions. The clever catchy titles I had previously were a NO NO! Think of what people would be searching for and name your boards accordingly. Test and tweek your descriptions, try and make them around 2 - 4 sentences long and use various keywords. I am still testing mine and I am sure I can improve them still further. But you have seen what a few changes can do... more on the testing as we go! Previously I had pinned various sized pins to my boards... well I stopped that and now just pin tail pins. To help you do this head to Canva, it's a free website where you can design pins in just minutes. Oh Hashtags how we love them on Twitter and Instagram.... But not on Pinterest please! Pinterest works on a smart feed and it doesn't like hashtags so stop adding them to your descriptions, I know I was doing it as well Doh! I went through deleting the hashtags I had already added yes you can do this, go through old pins and reword, remove hashtags and you never know they may just spring back to life. UPDATE March 2018 - Pinterest is now okay for hashtags only use them on new pins you will be wasting your time added to older pins. With Rich Pins the pin has a title above the pin in bold and below is a description of the blog post from your site. Also your Pinterest profile with image is there so easy to follow you too. Rich pins can take a while to get approved so be sure to to apply as soon as you can so that your pins stand out in search results. Once you have converted your account to a business account you should then be walked through how to get "rich pins". 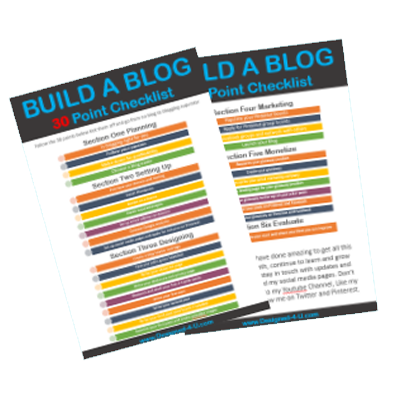 Create high quality, tail, rich pins that cry out for them to be repinned and liked. Pin everyday to various boards. I am now pinning about 20 pins a day... I expect this to increase to around 40-50 as I grow my Pinterest account. I am currently looking at different colours and seeing which ones perform better. Look out for my next update and see what I discovered. If your account is an old one like mine was, I had old pins that I was able to revisit. When you do this click on the edit tab and you can change the description and image this will reboost it. Remember your keywords and delete out hashtags! Boardbooster has been amazing it adds secret boards to your Pinterest account that you can then schedule pins to be pinned to main boards on a daily basis... This enables me to save loads of time and become consistent with my pinning. UPDATE :- June 2018 Pinterest is not allowing pins posted through Boardbooster and owing to this I have been using Tailwind for some time now saves me a huge amount of time. You can get a free 30 day trial to test it out for yourself. Joining group boards has been another great addition to my improving stats.... Joining groups can take time, click on the board and in the description it will give you instructions on how to join. Some groups are not currently allowing more people to join. Follow the board as this may change at a later date. Be sure to follow any rules and look at the repin rates of the group as smaller more active groups maybe more beneficial long term. This is a brand new feature in Pinterest so worth testing out. You can now add sections to your individual boards. I have added some to boards and left others to see if they is any advantages... I am sure results on this will come out shortly and the best way to use this feature... I will report back on this! I trust you have found these changes useful and you can start making them to your account. 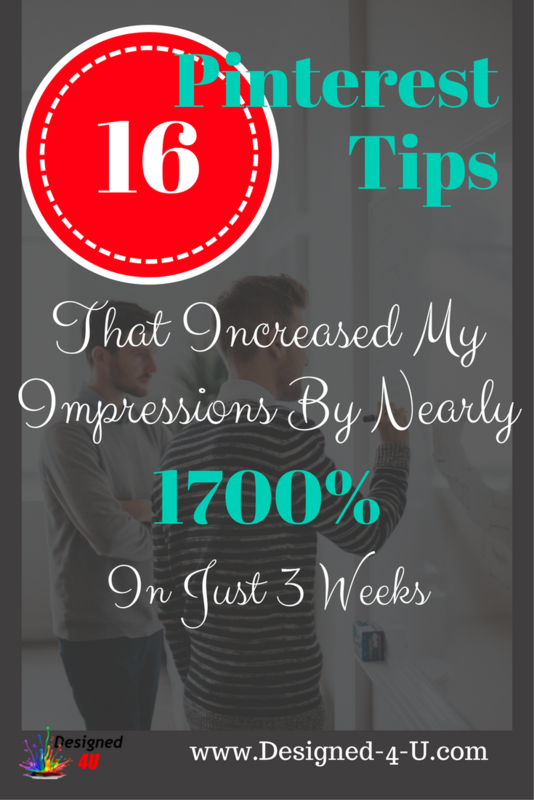 Let me know in the comments below any tips you have used that helped you grow your Pinterest account.